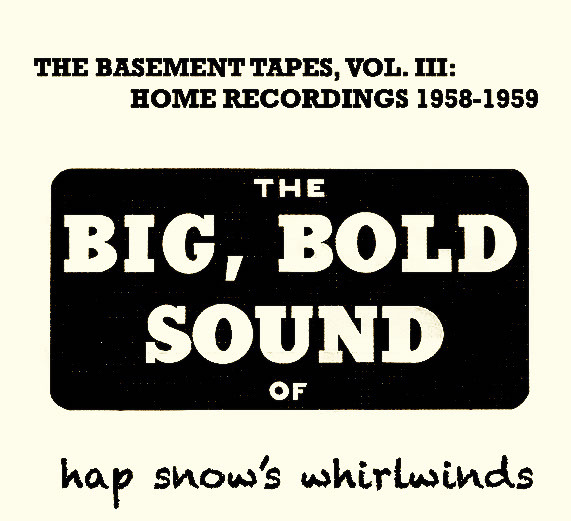 Between 1958 and 1959, Hap Snow’s Whirlwinds made a series of recordings in a home studio located in the basement of a private residence in Weston, Massachusetts. The Basement Tapes, Vol. III: Home Recordings 1958-1959 is the final EP from the collection of demos, alternate takes, and early versions from the band’s busy early years and features pianist Art Bearon, saxophonist Harry Lewis, guitarist Hap Snow, and drummer Stefano Torossi doing covers of rock and blues classics as well as original compositions. The five-track EP opens with an alternate version of “Chop It” that uses hand claps and neither includes the skit found in the full version on Volume I nor the yells from another alternate version on Volume II. 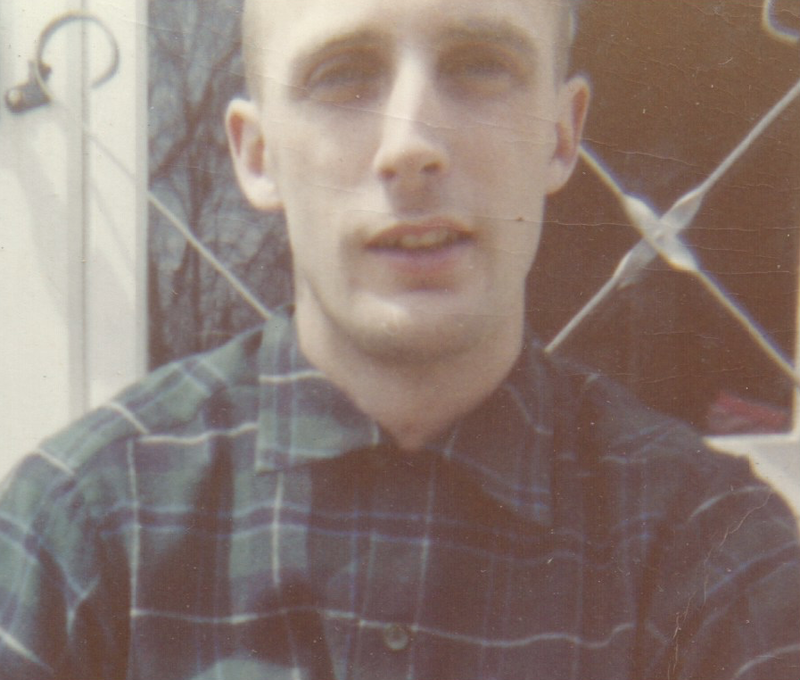 The fourth track is an early version of this instrumental written by Hap Snow. The second track is “Macabre #1,” an early look at the tune that became “Banshee,” the band’s Fleetwood Records’ A-side cut the following year at Boston’s Ace Recording Studios. Credited to Art Bearon, Hap Snow, and Stefano Torossi, the composition evolved over four demos before the final version was released as a 45 single in 1959. Pianist Art Bearon also penned “The Woolly Bear Stomp,” the third cut. “Let’s Have a Party,” the final track, was written by Snow and also features the band’s founder on lead vocals. The final version of “Let’s Have a Party” was recorded by Hap Snow’s Whirlwinds, with saxman Len Arnold (aka Leonard Hochman), on their second trip to Ace in 1960–see the In The Studio EP below. The two earlier volumes of The Basement Tapes, as well as In The Studio: The Complete Recordings 1959-1964 and The 1963 Acetates, Part II: Early and Alternate Tracks are located on SoundCloud and YouTube. This entry was posted in Unreleased Music and tagged Art Bearon, Hap Snow, Hap Snow's Whirlwinds, Harry Lewis, James K. Snow, rock and blues Instrumentals, rock and roll, Stefano Torossi, unreleased demo. Bookmark the permalink.